Dr. Scholl's new custom insoles, powered by Wiivv Fit Technology. LAS VEGAS--(BUSINESS WIRE)--Wiivv announced today at CES that it is partnering with Dr. Scholl’s, the category leader in foot care, to help expand the 112-year old brand’s business into custom 3D printed insoles, powered by Wiivv Fit Technology. 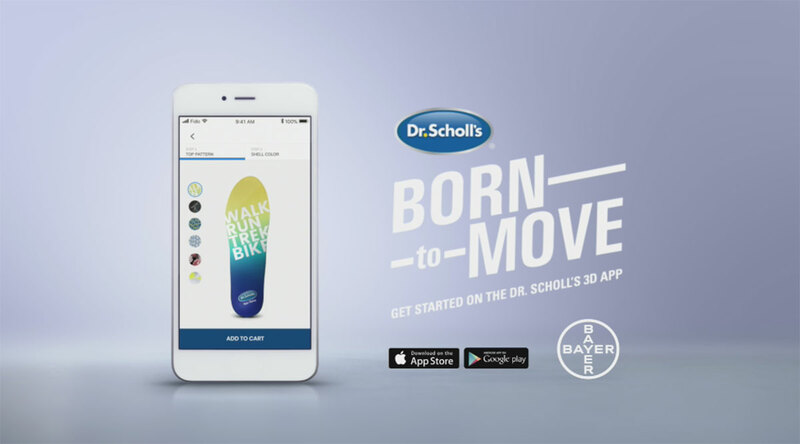 Using a simple smartphone app, consumers can personalize their own design and order--on-demand from their living room--a Dr. Scholl’s Custom 3D printed insole mapped from 400 points on their feet. Wiivv pioneered the ability for consumers to capture their foot profile with a phone and create customized 3D printed footwear, designed for an audience of one. Three years ago, Wiivv was a runner up in the TechCrunch Hardware Battlefield competition held at the Consumer Electronics Show (CES) in Las Vegas and simultaneously launched its first and highly successful Kickstarter campaign to produce 3D printed custom insoles. CES was where the two partners first met and now the location chosen to announce the partnership for the first time. Dr. Scholl’s Custom 3D Inserts are available today in three-quarter and full-length models for $99. Customers start by downloading the Dr. Scholl’s Custom 3D Inserts app from the Apple or Google Play Store, or by visiting drscholls.com/3Dinserts, then capturing their feet with photos on their phone. Custom 3D Inserts ship for free, arrive within 14 days, and feature a 30-day money-back guarantee. Wiivv (pronounced weave) is transforming footwear, apparel and wellness for every human body so that you can move, feel, and live your best. A leading technology company that empowers people and brands with the benefits of custom fit comfort, Wiivv developed and operates a complete value chain from your phone, through a software platform, to hybrid manufacturing and delivery. 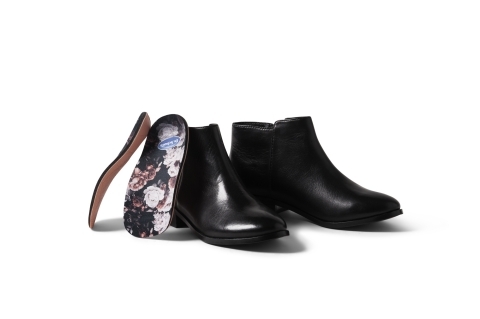 Wiivv offers custom fit footwear directly to consumers and the Wiivv Fit Technology platform to major brands. Every foot is different. A customized arch helps provide needed support and comfort while relieving lower body fatigue. The Dr. Scholl’s Custom 3D Inserts app powered by Wiivv Fit Technology enables you to create custom fit, 3D printed inserts that are delivered right to your door. Using advanced smartphone scanning technology that maps your feet at over 400 points, we create a 3D model that matches the unique shape and arch height of each individual foot. We then craft 3D printed inserts to provide individualized support and overall comfort. Personalize the look with your preferred size, color, and top cloth design. 112-year old Dr. Scholl's partners with tech start-up Wiivv to offer fully custom insoles you order from your phone.